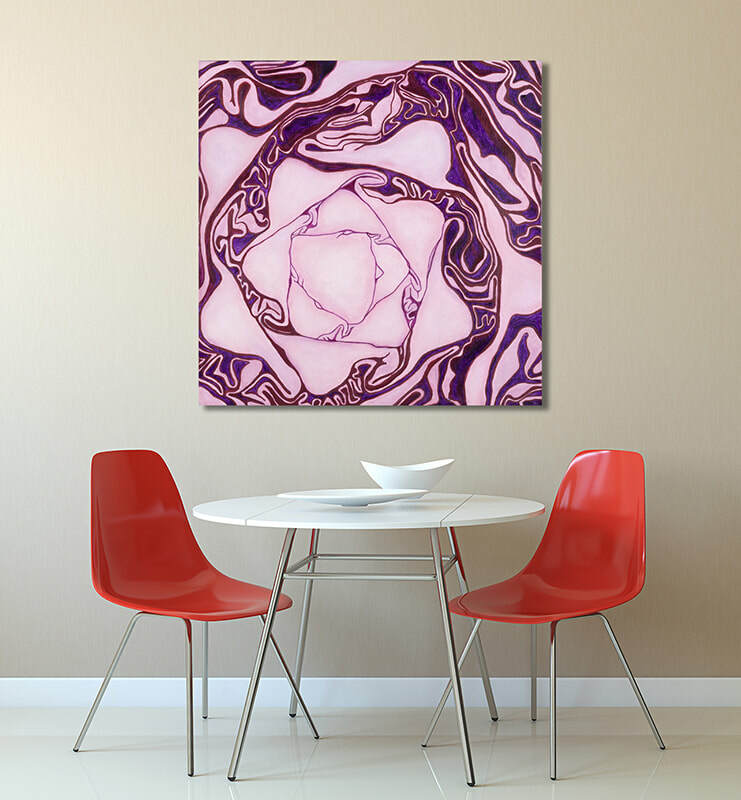 Realism and abstraction; Red cabbage works on two levels and gives the mind something to ponder. 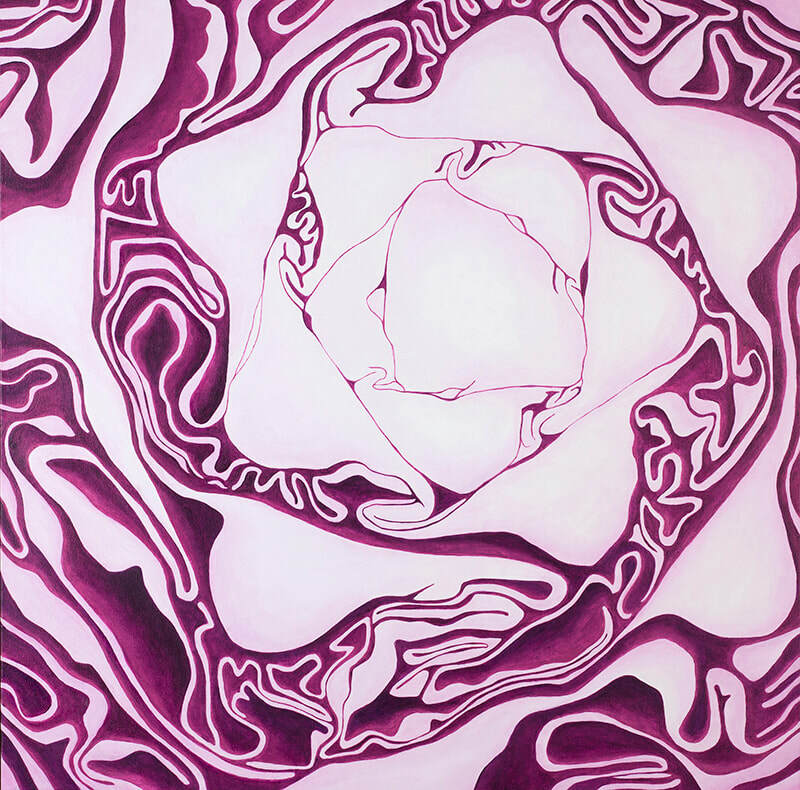 Red Cabbage is part of my "Food, Glorious Food" series of paintings. 36X36 Acrylic on gallery wrap canvas.